Whether you have been injured or want to stay on top of your health, the team at KIROMEDICA Health Centre is here to serve you. With the guidance of our knowledgeable practitioners, we hope to empower you and help you meet your health needs, from injury rehabilitation to addressing and investigating various health issues that may be altering your physical or mental state of well-being. If you were injured through your daily activities, from work related activities, sports recreational activities, are undergoing surgery, or you require a place for recovery from injuries related to a motor vehicle accident - we are here to provide you help through this process. 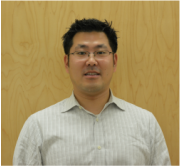 Dr. Shin graduated from the Queen's University at Kingston with a Bachelor of Science with Honour's degree in Life Sciences in 2002 and studied concurrently obtaining a Bachelor of Education degree in 2003. Subsequent to his education at Queen's he graduated from the 4-year Doctor of Chiropractic degree program from the Canadian Memorial Chiropractic College in 2008. He is also certified to provide acupuncture and is a graduate of the McMaster University Contemporary Medical Acupuncture Program. Dr. Shin has been in private practice in the Toronto area since graduation and makes this his home. His area of specialty focuses on spinal health along with physical medicine & rebilitation. Dr. Cregg graduated from Wilfrid Laurier University in 2012 with a Bachelor of Science in Kinesiology and Physical Educaiton. He earned his Doctor of Chiropractic degree from the Canadian Memorial Chiropractic College in 2016 and a certificate in Contemporary Medical Acupuncture from McMaster University in 2016. Dr. Cregg is currently completing his Masters of Health Science at the University of Ontario Institute of Technology with a special focus in ergonomics and biomechanics. Being such an avid sports fan and heavily involved in hockey and rugby, Dr. Cregg maintains a special interest in treating sporting injuries as well as integrating a biomechanical approach towards improving the physical functioning of his patients from all walks of life. His approach to health care involves identifying physical limitations and utilizing manual therapy, exercise prescription, self-management techniques and rehabilitation to overcome barriers. ​Dr. 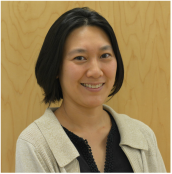 Melinda Lam graduated from the University of Waterloo in 2013 with a Bachelor of Science in Biochemistry. Her interest in sports and exercise medicine led her to the Canadian Memorial Chiropractic College where she graduated in 2017. She has also received her certificate in Contemporary Medical Acupuncture from McMaster University. In addition to her academic training, she is also a group fitness instructor and yoga teacher. 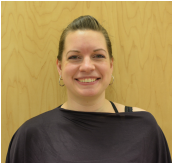 In her classes, she shares her passion for healthy living and injury prevention. In the winter she can be found snowboarding on the slopes and cycling by the water in the summer. Nisha Kumar graduated with her bachelor's degree in Physiotherapy from India. She also has a diploma in geriatric care, and a post graduate diploma in Yoga Therapy. She has experience working in many busy clinics across Toronto and acute care hospitals in Saudi Arabia. 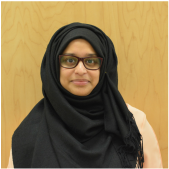 After coming to Canada she continued her studies at Ryerson University and U of T. Nisha is a licensed physiotherapist with the College of Physiotherapists of Ontario. She also has taken courses in Mulligan concepts and soft tissue release techniques. Her treatment incorporates a hands on approach, exercise prescription, client education, modalities and injury prevention strategies so that they can return to, and maintain their optimal functionality. Nisha is passionate about offering the best treatment techniques to patients, and is constantly learning the latest rehabilitation skills through physiotherapy post-graduate training courses. Jennifer graduated from Kikkawa College's 2200hr Swedish Massage Therapy program in 2013. She has experience in dealing with a wide variety of complaints; from every day aches and pains to the more complicated issues of low back pain, headaches, post-motor vehicle accident rehabilitation, and prenatal massage. Jennifer has also had experience in dealing with a wide variety demographics; from all age groups, including the young and young at heart; to the varying stages of health and mobility. As a graduate of the Shiatsu School of Canada, Suzanne holds diplomas for both Shiatsu and Acupuncture. Suzanne is also trained in other Traditional Chinese Medicine modalities such as Tuina (Chinese Massage), Cupping and Gua Sha (Chinese myofascial scraping technique). She was initially introduced to holistic medicine after growing up with health conditions that were difficult to treat with conventional medicine. This laid the foundation for her interest in and passion for practicing alternative therapies. Her clinical experience ranges from treating women's health issues (from premenstrual symptoms to fertility issues to pregnancy) to insomnia, digestive problems, anxiety, and various other conditions. In 2014 Suzanne went back to school at the Canadian College of Massage and Hydrotherapy to complete her diploma for her Registered Massage Therapy license. She looks forward to combining her knowledge of Eastern Medicine with her knowledge of massage in order to provide her clients with a more focused style of treatment. 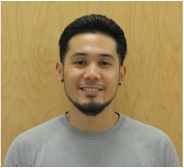 Kevin is a graduate from Centennial College for Massage Therapy and Humber College for Fitness and Health Promotion. He has treated many patients from all age groups and with the use of his knowledge and assessment tools, he can help optimize his patient’s health and achieve their goals. Modalities that he can provide in his treatment plans are Swedish, Deep Tissue, Trigger Point Therapy, Myofascial Release, Joint Mobilization, Sports massage and Hydrotherapy. Kevin is a certified CanFit Pro Personal Trainer and providing remedial exercises can be an effective tool in recovering or preventing future injuries for the patients. Kevin has volunteered at numerous facilities such as Variety Village, Scarborough Hospital (Oncology), Toronto Pan Am Center and the Michael Garron Hospital. He has experience in treating orthopedic conditions such as Arthritis, Fibromyalgia, Whiplash, Low Back Pain, Nerve Lesions and much more. When it comes to professionalism, Kevin believes that patients have the right to feel safe and comfortable towards their therapist. Kevin’s main priority is his patients needs where he will utilize specific tools and knowledge to create an effective treatment plan which is most beneficial to the patient. Adrian graduated from the University of Toronto in 2008 and received a Bachelor of Science degree with Honours in Human Biology. After having volunteered at the Mayo Clinic Hospital, Adrian realized his interest was in the health care field providing care for individuals in need. Adrian graduated from Michener Institute for Applied Health Sciences in 2012 with a designation in Chiropody/Podiatric Medicine. Adrian's clinical exposure included Women's College Hospital Wound Clinic, Hamilton Urban Core Community Health Centre, Flemingdon Community Health Centre, Newmarket Evidence Based Foot Clinic, and The Complete Foot Health Clinic. Adrian is currently a registered member of the College of Chiropodists of Ontario, Ontario Society of Chiropodists and the American Podiatric Medicine Association. Many people are unaware of their true potential to regenerate and reverse their health conditions. Through my five years of practice in the field of naturopathic medicine, I have come to realize that if given the right nutrients as well as being willing to make lifestyle changes, the impact on one’s health can be profound. I have graduated from the College of Naturopathic Medicine in 2010. In my one year internship, I had the opportunity to work at the Sherbourne Clinic where I helped HIV positive patients optimize their health and reduce the side effects of conventional medication. In my actual practice, I use herbs and high quality supplements to help patients prime their immune system, thus treating and preventing many health problems such as allergies, frequent colds and flu. I also specialize in digestive problems related to food intolerance, hormonal imbalance and women’s health. As a naturopath, I am also licensed to use acupuncture to help patients with all health issues ranging from insomnia to chronic disease. My goal is to guide my patients and walk them through their journey to healing. If given the right environment, any ailment can improved and potential be reversed.